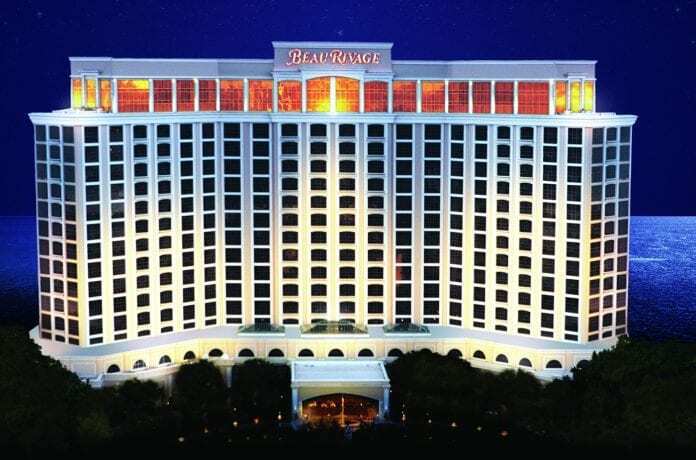 For a luxurious casino beachside getaway, head to MGM Beau Rivage Resort & Casino in Biloxi, MS. In addition to gaming and oceanside relaxation, the resort offers fine dining and entertainment, golf, a stunning spa and plenty of local discovery. The convenient seven hour drive from Nashville makes Beau Rivage a prime vacation spot. The grand entrance mesmerizes guests as they view the Atrium Cafe to the left, a grand hall leading to the casino floors straight ahead and quaint shops to the right. The resort offers ample gaming with its 85,000-square-foot casino along with 83 table games, 1,945 slot machines including 165 video poker games and a 16-table poker room. The resort also offers a luxurious high-roller salon functioning as a ‘casino within a casino’ that includes 11 blackjack tables and a baccarat table; a high-limit slot room with 95 slot machines; an exclusive buffet and bar lounge; dedicated cashier services; private restrooms and round-the-clock concierge service. For a golf experience, take advantage of the Tom Fazio-designed Fallen Oak, located 20 minutes north of Beau Rivage. It is described as an ultra-exclusive golf experience surrounded by mature oaks, pines and magnolias, Tour Grade Signature Blend sand and wetlands, forest, marshes and pecan groves. There is an on-site 1,550-seat theater which headlines some great entertainment. Visit the website for a current list. A must experience is the on-site Spa and Salon at the resort. The solarium within the spa is cleverly designed to optimize relaxation, offering a steam room, sauna, whirlpool and a cold plunge pool for immersion therapy. The spa treatments are heavenly. The treatments to choose from include wraps and therapeutic massages and facials. Consider taking advantage of the Hydra Facial technology with one of the facials. Head out of the resort and onto the sand along the shores of the Gulf of Mexico. Barrier islands are scattered throughout the region. The beach can be conveniently accessed by a boardwalk adjacent to the resort. The breeze immediately dispels unwanted stress as guests can walk for miles along undisturbed scenic shores. The dining at Beau Rivage is a destination experience in itself. Choose from casual to fine dining with something for everyone. Of the many dining options, Jia, a Pan Asian venue, is a top recommendation. Also on site are Stalla, Beau Rivage’s authentic Italian kitchen; BR Prime, Beau’s signature steak and seafood restaurant; Beau Rivage Buffet as well as the casual Terrace Café. Each venue has a fresh array of seafood and chef specialties which will charm every vistor. Celebrate the historic tradition of Mardi Gras Beau Rivage-style with music, activities and prize giveaways. On Mardi Gras day, the Beau Rivage Buffet will offer a special holiday menu. Adults $29.99, $14.99 for children 6-12 and kids 5 and under eat free. All-day, unlimited access bracelets will be available for $45.99 per person, so guests can re-enter as many times as they’d like throughout Mardi Gras day. Bracelets will be sold from Feb. 24-Feb. 28 during regular hours of operation. The Buffet at Beau Rivage will serve holiday brunch from 7:00 a.m. – 2:30 p.m. and dinner from 2:30 p.m.-9:30 p.m. The brunch menu features fresh made to order Classic Benedicts and Waffles, and complimentary champagne and mimosas. The dinner menu features a large selection of seafood including crab legs, shrimp, oysters and catch of the day, as well as classic comfort foods, Southern style favorites, traditional Asian cuisines, made-to-order pastas, and the finest assortment of meats at the carving station. Leave room for the large assortment of desserts including a Banana Foster station. For a romantic escape, consider the The BEAU LOVE Couples Getaway Package which includes one night accommodations, a $500 resort credit, chocolate covered strawberries and one bottle of Michelle Brut champagne. For a special spa experience, choose from “Be My Honey Magnolia Manicure + Pedicure Experience,” “Me and My Beau Couples Escape,” or the “Bless Your Heart Heavenly Escape.” Get details at www.beaurivage.com. Reservations can be made by calling Beau Rivage Customer Care at 888.767.5687.